KAMPALA – City tycoon Sudhir Ruparelia’s son Rajiv and wife Naiya, will this weekend throw a lavish wedding anniversary. The invite-only anniversary party will take place at Speke Resort Munyonyo, on Saturday evening. Rajiv, who got married a year ago, is slowly coming through his father’s wings to take over management of most of the family’s — the Ruparelia Group business operation in real estate, hotels and tourism, education and insurance — running titles like Victoria University, Speke Resort Munyonyo, Speke Apartments among other businesses run by the family in Uganda. 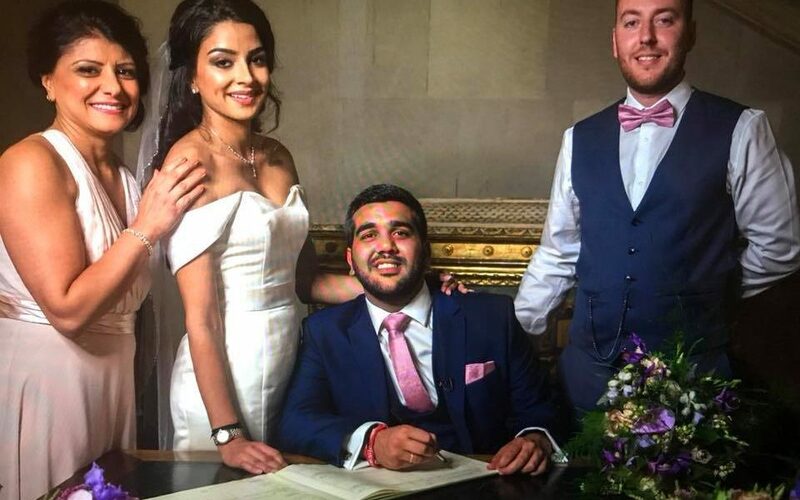 Rajiv’s wedding to Naiya was held at the Picturesque Country Palace in London last year in August. Rajiv met Naiya, a daughter of wealthy British couple Sudheer and Rita Khagram while they were attending university in London. Born in June 1990, 27-year-old Naiya is a British citizen and daughter of London billionaire Sudheer Khagram and his wife Rita. Her parents own the Boots Opticians franchises with more than 20 locations in the UK, LetchworthEyecare& Eye Xcel Ltd and they are also property developers under Golden Zones Investments with properties both in England and Scotland.